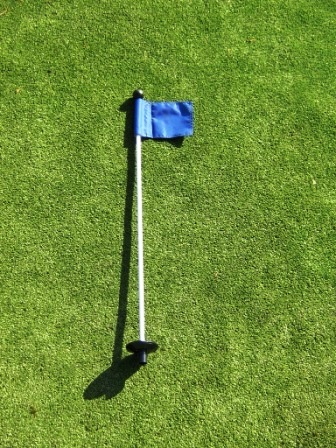 (3) Putting Green Cups, (3) Flags, (3) Markers, Instructions & More. (3) Easy Grip 1" Round Handle/Knobs. 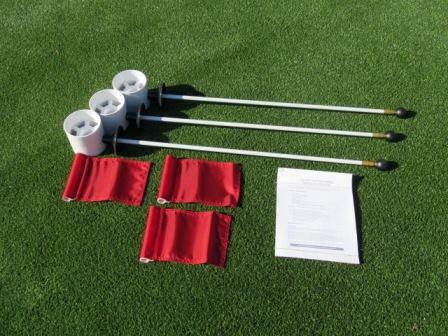 Additional & Replacement Color Flags (Red, Blue, White, or Yellow) & 30" Markers, are available below in "RELATED PRODUCTS"
From Carolyn Vanderberg of Charlotte, North Carolina on 6/6/2013 . From Peter Malkovich of Minden, Nevada on 4/22/2013 . From roger of chardon, Ohio on 4/17/2013 . From Dwight Ringdahl of Douglasville, Georgia on 8/2/2012 . From Tony Minio of Baltimore, Maryland on 5/18/2012 . 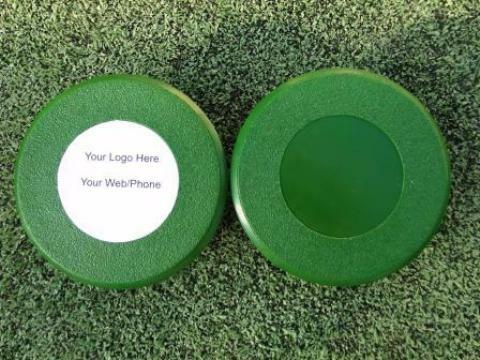 1. weight and dimensions of the kit, proper?y packed to be checked as luggage in international . . .